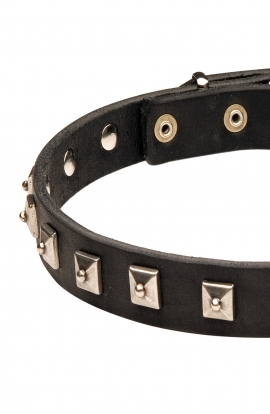 Search "fashion collar" 178 results have been found. 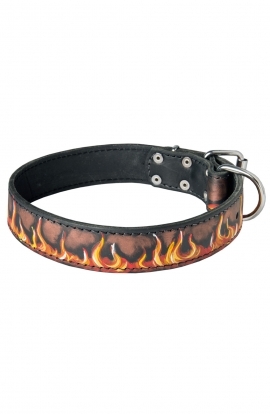 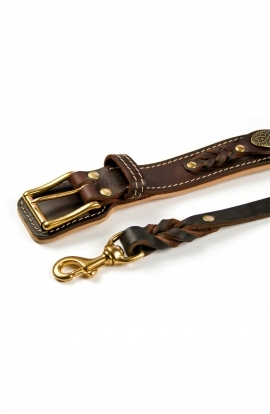 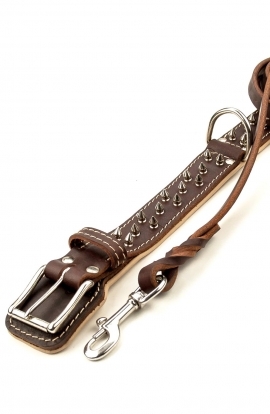 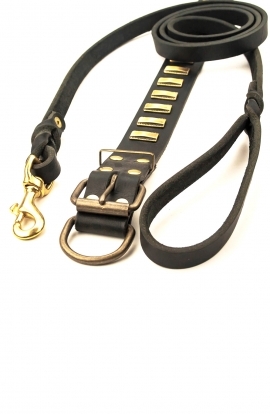 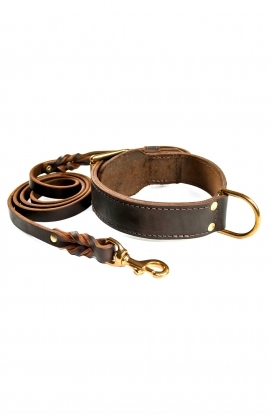 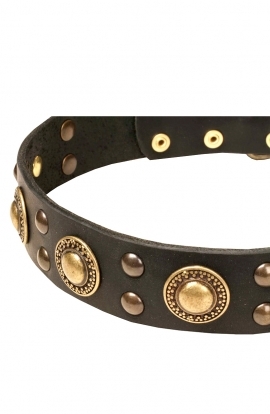 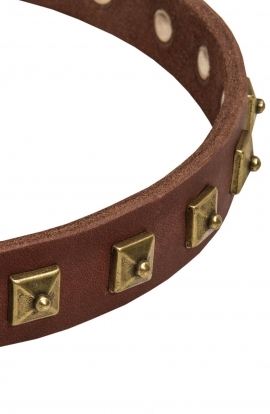 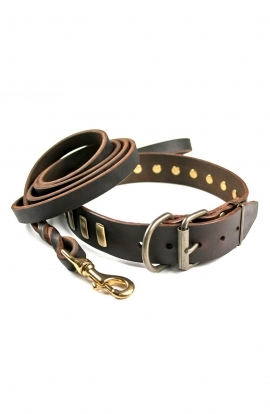 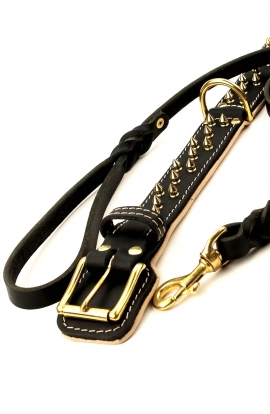 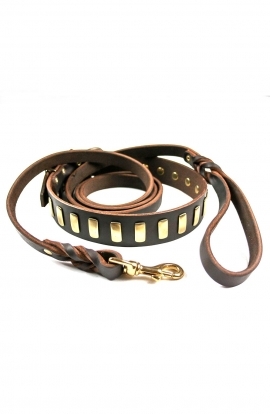 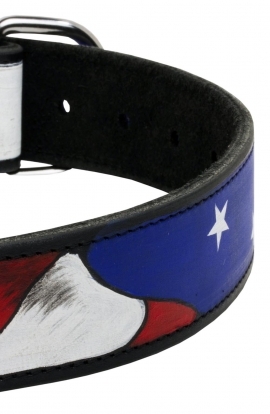 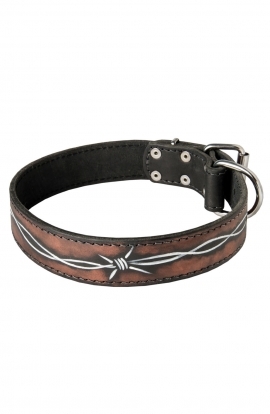 The collar is made of smooth genuine leather causing no discomfort to your 4-feet friend. 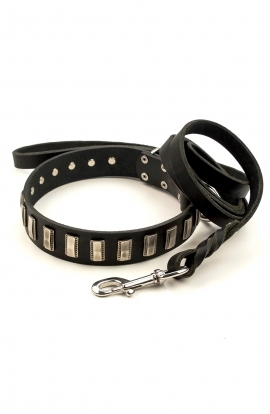 This fantastic leather dog collar has three rows of shiny silver truncated cones, which are hand set on beautiful smooth full-grain leather strap. 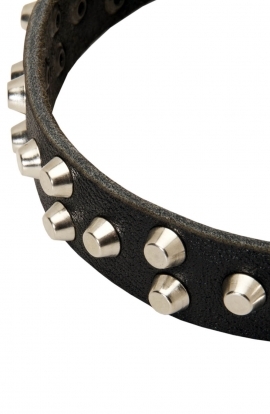 The studs are nickel-plated for classic look and match the nickel-plated buckle, D-ring and strap keeper. 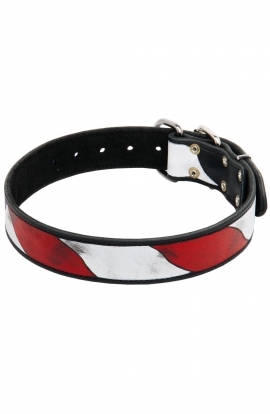 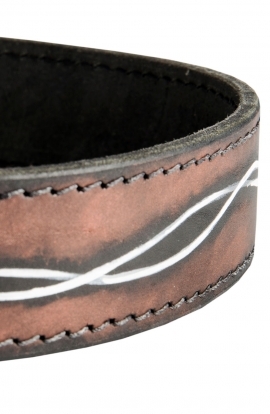 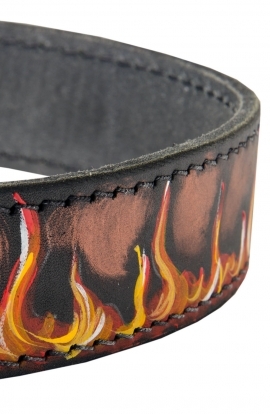 This collar is handmade with special attention to safety and comfort. 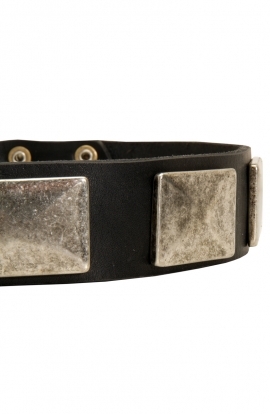 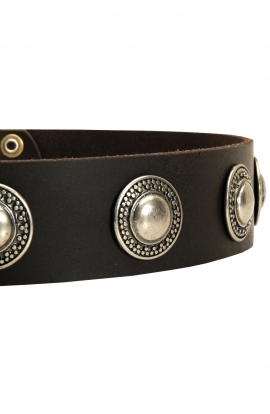 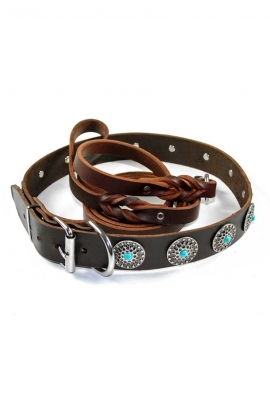 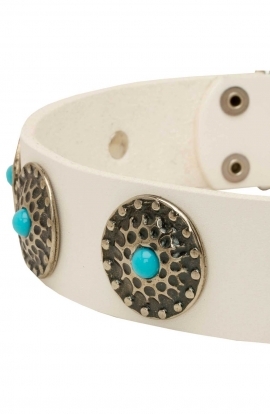 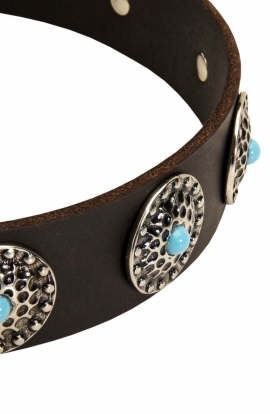 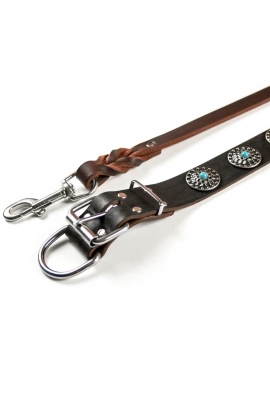 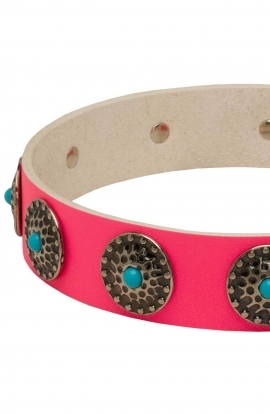 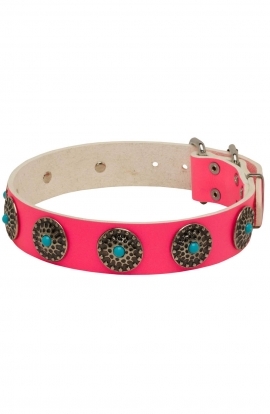 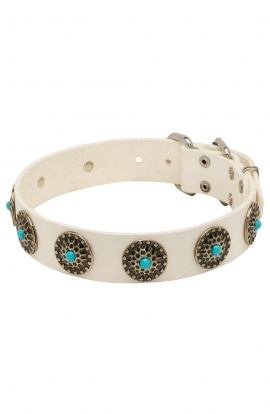 Charming leather dog collar with carved silver conchos and light blue stones is offered to you.